Delivery Masters offers Home Delivery Service right to your door,fast! Delivery Masters Courier and Delivery Service offers home delivery to residential customers through our network of Delivery Services. We pick up and deliver many items to your door including parcels and packages, documents, flowers, prescriptions, dry cleaning, groceries and so much more. We deliver what you want, when you want it. 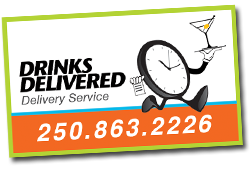 As part of our delivery network, Drinks Delivered will pick up and deliver all of your liquor, mix, tobacco, and convenience store needs and Restaurants Delivered will deliver the “foods you crave” right to your door. Click below or call 250.863.2226. 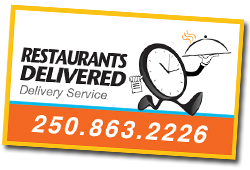 For all other types of home delivery, call us at 778.363.4447. We accept cash, credit and debit through our fast and secure wireless debit terminals. We do NOT accept cheque, money order or prepaid visa cards.